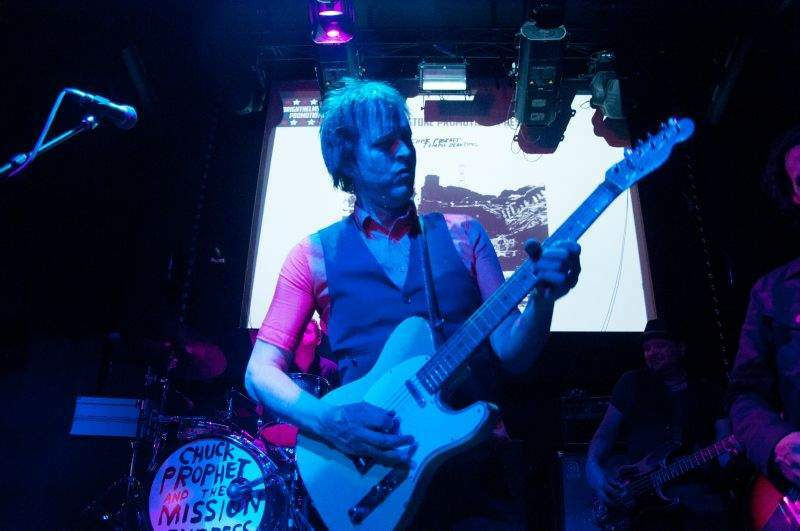 Whilst not hitting the twilight years himself just yet, Chuck Prophet managed to reel in a crowd of golden oldies, showing just how difficult it is to market this kind of music to a young crowd. Chuck’s talent, combined with utter enthusiasm, has seen him carve out a fine career that has allowed him to continue doing what he loves every night. Whilst it’s a shame that the band aren’t filling out bigger venues, there aren’t many more atmospheric and soulful as the Cluny. Folk and psychedelic rock are two genres that really seem to thrive in the Ouseburn valley and it could well be due to the loyal set of older fans who continue to support the bands they love, as opposed to the newcomers who target the younger generations. Ticket prices are going up by the year and while people complain, the majority doesn’t care, provided they get what they pay for. Getting your money’s worth is never in question when these American rockers take to the stage, as passion and excitement oozes from the pores of each member; a passion that spreads through the audience to create a joyfully peaceful crowd of beer sipping singers. From start to finish, lungs were stretched as lyrics were bellowed back; Prophet pulled out a selection of classics from Freckle Song to Tell Me Beautiful. At a time where we are hearing reports of professional musicians holding down full time jobs to pay the rent, it’s clear Prophet is a man who embraces every moment of each performance, knowing fine well the industry does have the life it once did. From vocals to rhythm, everything was nailed down to a T, making for a fabulous performance from one of the hidden gems of folk.